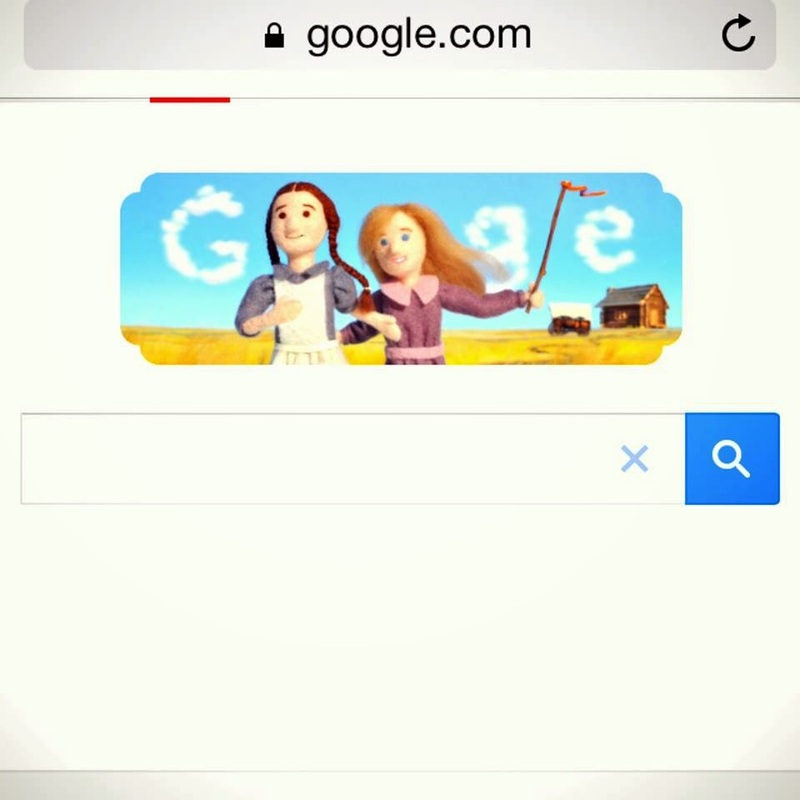 Look who's celebrating her 148th birthday :)..
Yuuup...if you clicked Google last Saturday, you'd notice its squiggle (that's the name, right?) showing Laura's picture complete with the log cabin and the wagon. the pic is taken from Google.. I remember reading it when they had to get back to that wagon after spending some times living on the prairie. They had built a house with their own hands and put the glasses on their windows, after Pa made a long journey to the closest city, Independence. 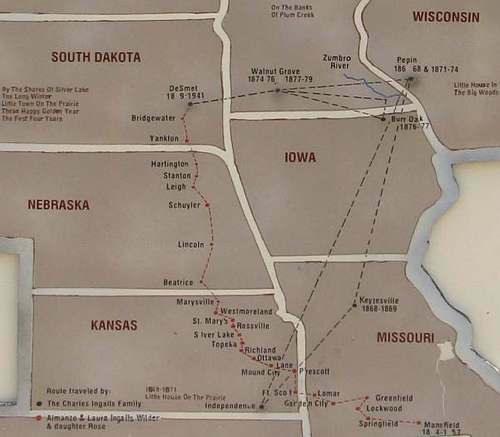 Just because the area was the American Indian territories and at the time, the US Government had a treaty with them. Speaking of which, my current work happens to deal with this issue as well, when the UN discusses the rights of the indigenous peoples. 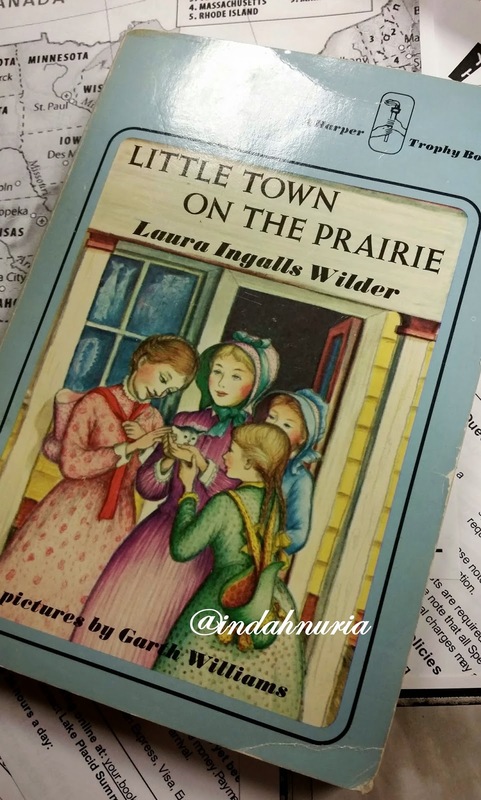 Well, that's a bit of Laura's story in Little House on the Prairie.. I have written about it before here, but I'm more than happy to share more about what I love most from the famous series of Laura's pioneering life with her family. One of my favorite stories is the Farmer Boy. 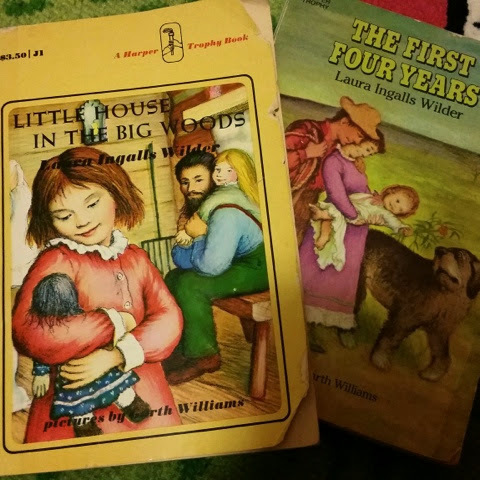 Laura told us about the life of Almanzo Wilder, her husband, while he was a kid. Raised in the farm near Malone, New York State, I enjoy Almanzo's colorful days collecting berries, breaking the colts, doing his chores, taking care of animals and growing giant milk pumpkin. He was indeed a great farmer and got a knack for animals as well, especially the horses. How they had to walk in all weather just to go to school and practically did many things from a very young age really teach me how to be independent and grateful for my life :). I also love On the Banks of the Plum Creek. This is the episode where Laura lived in the dug-out, the house under ground. Very unique indeed :)...and here Laura almost got herself drowned in the creek fro not listening to Ma and Pa. She also got acquainted with funny creatures along the creek, including leeches and crabs. I can't help but smiling when she gave Nellie Oleson, her mortal enemy, a lesson for being impolite to Ma on the same river bank. And the heartbreaking grasshopper season...destroying Pa's crops just when they built new house and got new horses! I cried as well when Jack, Laura's loyal dog, died.. And I got so excited when Laura talked about her first experience taking the train :)..
Laura already became a school teacher when she was just 14 years old. I really love the school exhibition they had where Laura presented some essays on history, one of her favorite lessons, perfectly. Or when the whole town gathered in the church to enjoy the fully-entertaining performances from the locals, including Pa's brilliant pantomime. You can read them all in Little Town in the Prairie. Not to mention the First Four Year... Where Laura told us the story of her first 4 years of her marriage with Almanzo. Their ups and downs as a couple who's trying to strive for a better life as a farmer. And when they were blessed with Rose Wilder, their daughter. I cried when Laura suffered from the loss of their son and when the house that Almanzo built with love was destroyed by fire. Oh my...I can go on and ooooon about Laura and her book :). But for sure, I just wanna share the fun of reading this world-wide famous book series. And now while my family and I have our own adventure in the US. I am thinking of visiting the trails of her incredible journey. 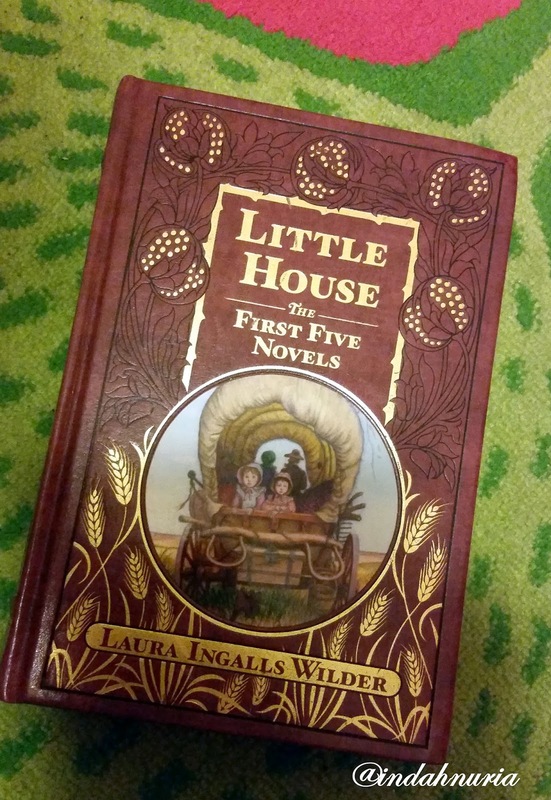 From her website, www.lauraingallswilderhome.com, I notice that Laura's historic home and museum is located in Mansfield, Missouri. I hope I can visit them someday :). Maybe not as thrilling as the wagon ride, but I'd like to see Pa's fiddle and more of Laura's memorabilia :). I love the show, and the books. We started reading them on vacay last summer. We got through 3 or 4. I need to read more of them. My kids love them. I keep reading them again and again Alissa...can't get enough :). I have the complete collection and my son keep asking me why I read them all the time.. 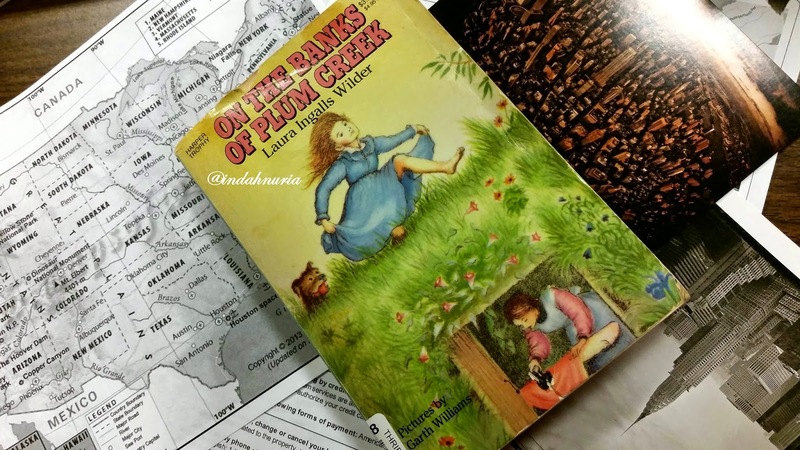 I remember reading, and loving these books in school. My girls never brought them home, but I think I am going to encourage my 11 year old to pick up On the Banks of Plum Creek. That one was my favorite! hahaha...dapet ngg yang seperti Pa mak :)..tapi aku juga seneng bangeeet ama Laura..